Roby Elementary School — Cornerstone Engineering, Inc.
Roby Elementary School, located in Shepherdsville, Kentucky, was a 55+ year-old existing facility that required structural updates and additions to support a growing student population. The building’s addition, which encompassed classrooms and administrative offices, was designed as a single-story steel frame structure supported on reinforced concrete spread footings and continuous wall footings, with a reinforced concrete slab-on-grade. The addition was constructed with reinforced CMU walls and composite steel decking. 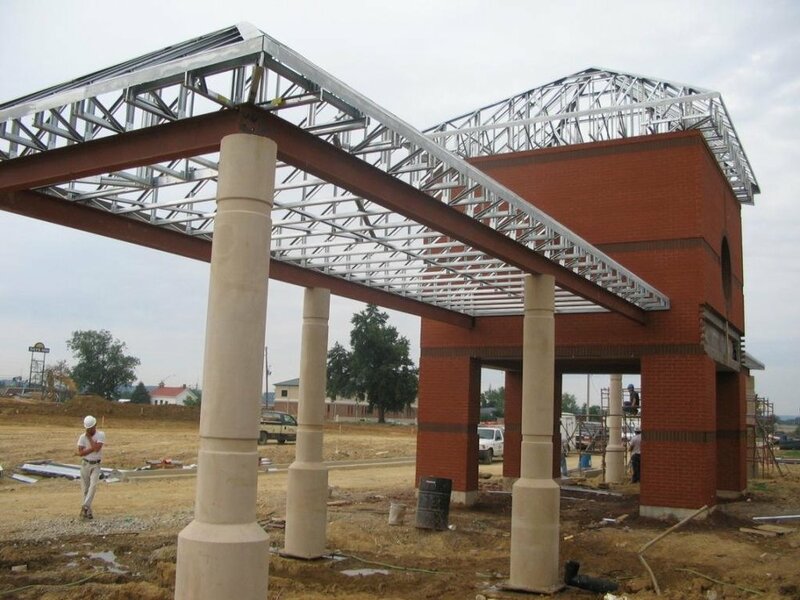 The new roof is supported by structural steel beams. Cornerstone provided special inspections for this project, working with the Structural Engineer of Record (SER), resulting in an exemplary final product. In addition, Cornerstone prepared monthly reports and a final report for submittal to the State of Kentucky to ensure compliance with building code standards.